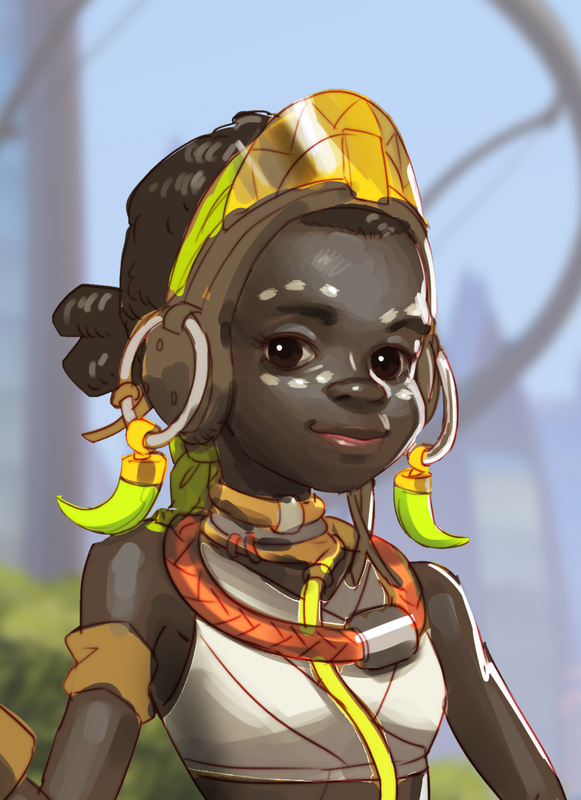 Already one of the world's foremost centers of scientific discovery and exploration, Numbani has a brilliant new mind to add to its ranks: Efi Oladele. In the last year, she's built a resume of impressive achievements in robotics and artificial intelligence, but perhaps most remarkably is that she's done all of this by the age of eleven. Last month, she became the most recent recipient of the Adawe Foundation's prestigious "genius grant," in recognition of her many accomplishments. She is undoubtedly someone whose career will be watched with great interest. For this week's "Spotlight on Numbani," we had the opportunity to catch up with Efi to learn more about her and her plans for the future. I'd like to start off by congratulating you, Efi. This is a tremendous, well-deserved honor. How do you feel? Amazing! I wasn't expecting it at all, so it was a big surprise. At first, I thought it was a joke—like one of my friends playing a trick on me. It's been a week now and it still doesn't seem real, but I'm very happy about it. Much better than winning the science fair. It's amazing what you've been able to accomplish at your age! How do you do it? I'm not sure how to answer that. I just do it! I guess I'm very lucky that my parents put up with it. Robots can be messy, you know. And expensive. Speaking of which, do you have any plans for what you're going to do with your grant? New computer? College tuition? It's a secret for now… but my parents are taking me on a trip to celebrate! It'll be my first time flying, so I can't wait.